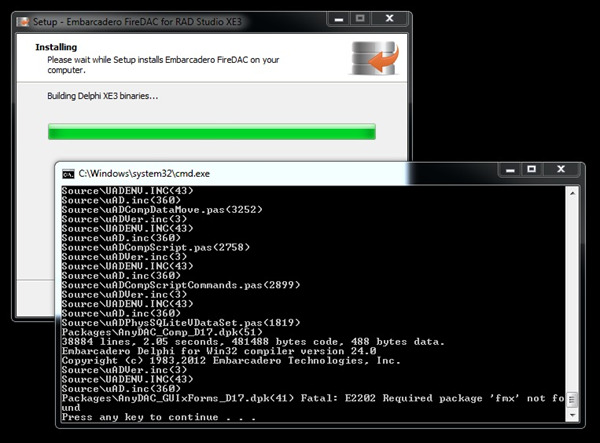 If you try to install FireDAC on a system which has C++ Builder XE3 only, you will receive the errors "Fatal: E2202 Required package 'fmx' is not found' and "Fatal E2202 Required package 'AnyDAC_GUIxForms_D17' not found". If you ignore the errors, the installation will continue to completion. 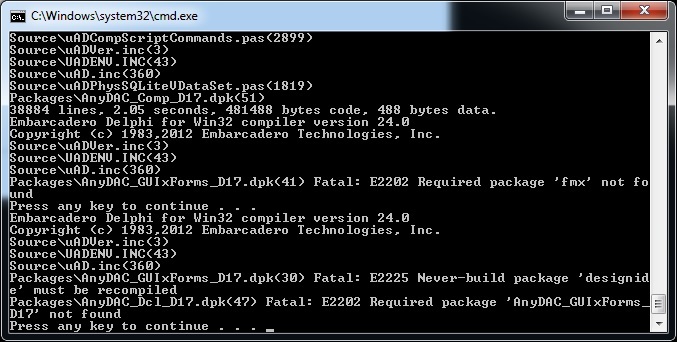 When you subsequently launch C++ Builder XE3, you will get an error indicating AnyDAC_Dcl_D17.bpl cannot be loaded. 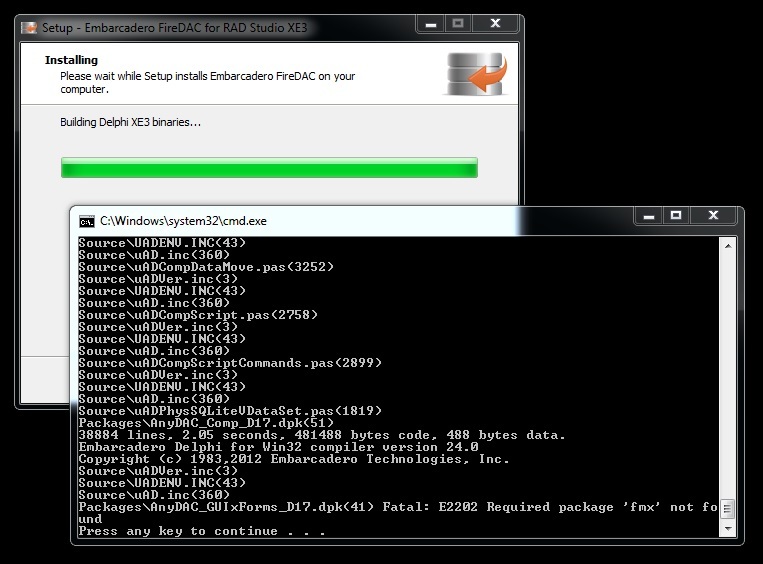 To resolve the problem, click here to download FMX.ZIP then unzip it to the lib\win32\release folder below your product install (C:\Program Files (x86)\Embarcadero\RAD Studio\10.0\ by default), then run the FireDAC install again.